Bride and Groom recess down the aisle after their friend pronounces them married at the Oberod Estate in Wilmington, Delaware. The summer sun shines on the couple and the guests are all standing, clamming and cheering for the newlyweds. 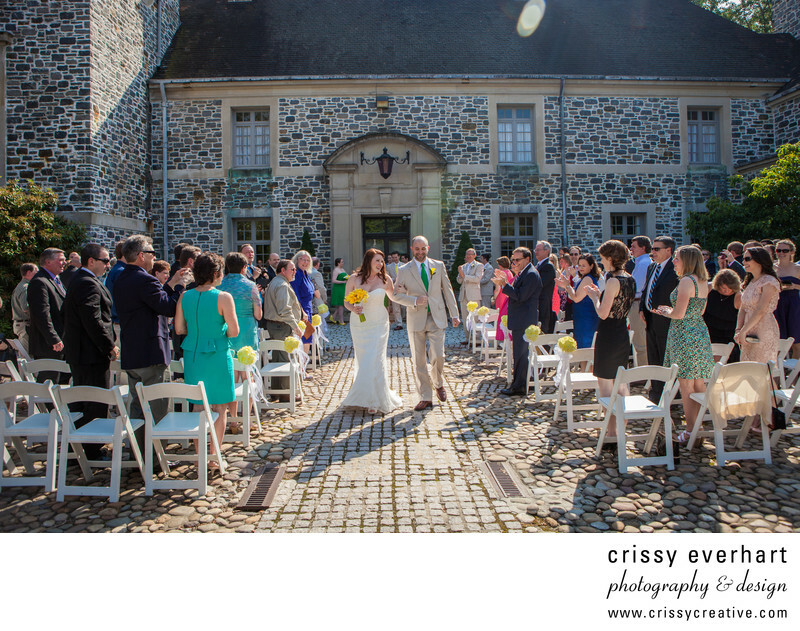 The Oberod Estate is all old stonework, and is truly a beautiful space to get married! Visit the Oberod Estate Facebook page to learn more about the venue.